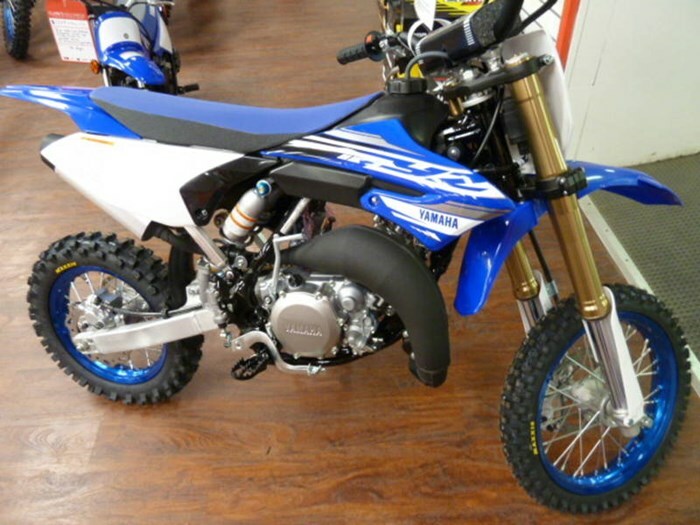 2018 YZ65 - Powerful-feeling 65 cc single-cylinder, liquid-cooled, 2-stroke engine with crankcase reed valve. All-new engine, chassis, suspension, bodywork and more, the 2018 Yamaha YZ65 is designed to provide young riders with top-notch performance and reliability 2018 Yamaha YZ65 CONQUER DIRT Featuring an all-new engine, chassis, suspension, bodywork and more, the 2018 Yamaha YZ65 is designed to provide young riders with top-notch performance and reliability on the way to the victorYZone. 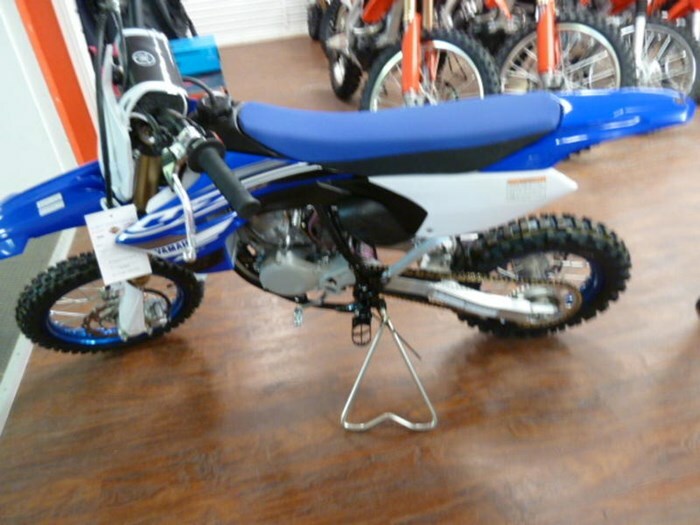 Features may include: ENGINE PERFORMANCE The YZ65's liquid-cooled, two-stroke, single-cylinder engine features the Yamaha Power Valve System (YPVS), providing excellent power and torque characteristics. Based on the YZ85, the YZ65's engine has been thoroughly revised with a host of new components: piston and rings, exhaust pipe, intake manifold, reed valve, connecting rod and much more. The engine is mated to a 6-speed transmission with optimized gear ratios. YZ HERITAGE The all-new YZ65 draws upon Yamaha's decades of leading track performance and proven durability. Adjustable front and rear suspension, a tapered handlebar and YZ450F-inspired bodywork are just a few of the trickle-down highlights of the newest YZ model. Powerful-feeling 65 cc liquid cooled, single-cylinder 2-stroke engine with Yamaha Power Valve System (YPVS) Crankcase reed valve 6-speed transmission with optimized gear ratios Newly designed semi-double-cradle steel frame, aluminum subframe 36mm inverted fork with 12 levels of compression and 10 levels of rebound damping for solid front-end feedback Monocross rear suspension with 10 levels of adjustment for both rebound and compression damping Newly designed aluminum swingarm Aluminum tapered handlebar with four positions of adjustability New seat for improved comfort, body weight transfer and easy maintenance 14-inch front and 12-inch rear wheel Styling based on high-end YZ models ENGINE Powerful-feeling 65 cc single-cylinder, liquid-cooled, 2-stroke engine with crankcase reed valve. Yamaha Power Valve System (YPVS). Newly-designed 2-petal reed valve. Optimized crankshaft balance and lightweight connecting rod. New intake manifold and exhaust pipe. Newly-designed piston and piston rings. High-voltage ignition coil. Model-specific CDI unit. Short-type spark plug. 6-speed transmission with optimized gear ratios. Fine-tuned air cleaner box with revised shape and larger capacity (compared to YZ85). Keihin PWK28 carburetor with revised settings (compared to YZ85). Downsized radiator (compared to YZ85). Drive chain with new dimensions (compared to YZ85).